Funny story. Tukaram and blanket! 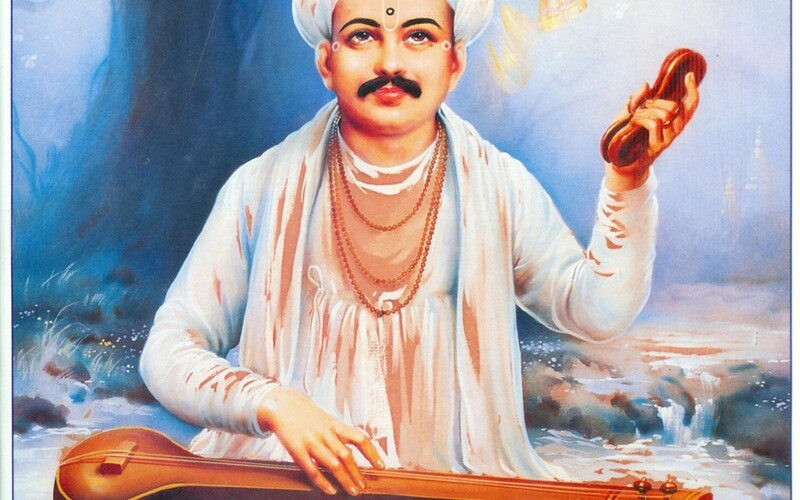 Once, Sant Tukaram, a great devotee of the Lord, was doing hari katha. The hall was jam packed with the devotees. The katha was going on and with closed eyes, Sant Tukaram, who was a pure devotees of Lord Vitthaldev, was narrating the pastimes of the Lord and singing till it became very late in the night. Slowly slowly the devotees started getting up to go home, some started sleeping there only and again getting up and going home. It was only mid night that Sant Tukaram opened his eyes and saw that everyone has gone home except one devotees who is sitting in front of him in rapt attention hearing hari katha. So he said, you are such a nice devotee of the Lord. You have so much devotion in your heart that although everyone has left, you are sitting here and relishing hari katha. And he replied, Maharaj please do not have such misunderstanding. I am really not attached to hari katha. The fact i am so long siting and hearing is that the blanket, on which you are sitting and doing hari katha, belongs to me and to take that, I am waiting here! It is very difficult to hear Krsna katha for long. Only a pure hearted soul can relish hari katha constantly. But hearing is the very important aspect of purification and helps in achieving the highest goal of life. As Prahlad Maharaj says, sravanam kirtanam vishno smaranam.Hearing of krsna-lila is the boat by which to achieve the ultimate goal of life. O greatest yogi, my spiritual master, kindly describe why this happened. I am very much curious to know about it. I think that it was nothing but another illusion due to Krsna. The pious activities of the Supreme Personality of Godhead are very confidential. It is not ordinarily possible to hear such activities unless one is very, very fortunate. Parikshit Maharaj was hearing Srimad Bhagavatam in rapt attention for so many days, without having even a one-drop of water or a single grain of food. For neophytes, it is very difficult to whole-heartedly relish the hari katha. Sometimes during the katha we become sleepy, we feel bored, constantly look at our watch and think when the lecture is going to end, think about prasadam and so on.